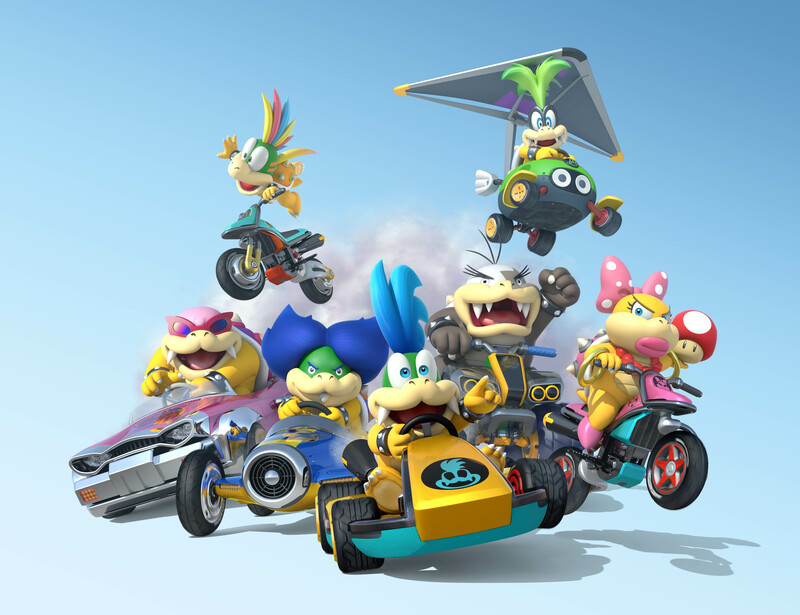 Mario Kart 8: For the first time ever in any game, all of Bowser’s seven Koopalings are playable characters. Players with a taste for being bad can get ready to challenge gravity on the race track with Iggy, Larry, Lemmy, Ludwig, Morton, Roy and Wendy. The game launches in stores and in the Nintendo eShop on May 30. 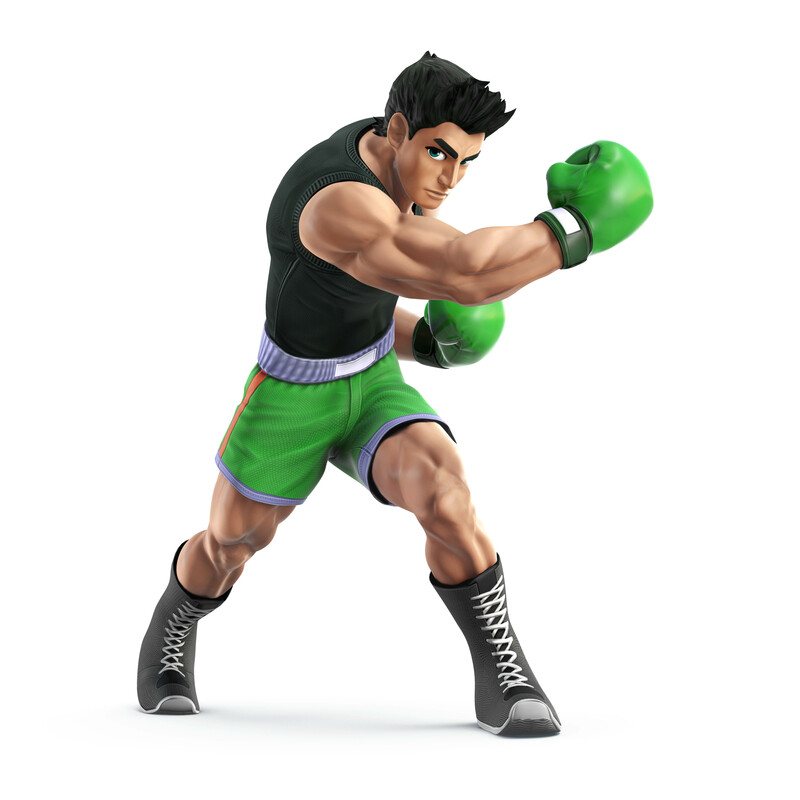 Super Smash Bros. for Wii U: Little Mac, the hero of the Punch-Out!! boxing games, will make his first appearance as a playable character in the upcoming Super Smash Bros. game. The game will launch in stores and in the Nintendo eShop on Wii U and Nintendo 3DS in 2014. Game Boy Advance Games: Portable classics will start making their way to the Wii U Virtual Console in April, starting with fan favourites such as Metroid Fusion, Mario & Luigi: Superstar Saga and Yoshi’s Island: Super Mario Advance 3. Additional games will follow every month. Bayonetta 2: A new trailer for the title from Platinum Games showed off some new game features. The game is scheduled to launch later this year. New game-play footage was shown for the in-development title from MONOLITH SOFT INC. The game’s battle system is based on Xenoblade Chronicles for Wii. Additional updates will be announced in the future. Super Luigi Bros.: This is a full game based on a challenge from NES Remix. It contains all the levels from the original Super Mario Bros. game, only now it stars Luigi and requires players to navigate familiar levels in an unheard-of way – by running to the left! The game even incorporates Luigi’s signature high jump. It’s a fun new spin on a classic game. Child of Light: In this RPG from Ubisoft, players take on the role of young Princess Aurora, who is on a quest to retrieve three sources of light from the evil queen. She must fight monsters and solve puzzles to progress. She is assisted by her firefly companion Igniculous, who can heal party members during battles and write messages in light to interact with other players. The game is scheduled to launch April 30 for $14.99 CDN. Yoshi’s New Island: Yoshi gets to bash and thrash his environment by throwing around Mega Eggdozers and Metal Eggdozers. Yoshi also can transform into a variety of objects, such as a jackhammer or a submarine, both of which can be manipulated using the Nintendo 3DS gyro controls. A certain type of star even transforms him into Super Yoshi, giving him the ability to fly through the sky or run along walls and ceilings. Players who are having trouble completing a level might see the appearance of Flutter Wings, which let Yoshi fly through the air. Yoshi’s New Island is scheduled to launch March 14 in stores and in the Nintendo eShop on Nintendo 3DS. Mario Golf: World Tour: In addition to previously announced multiplayer features, the game will also include the Castle Club, a single-player clubhouse area that offers a variety of areas to help players hone their skills. The Castle Club includes golf courses, tournaments, training areas, shops, locker rooms and a café. A training area lets them focus on specific aspects of their game, such as putting. Players can customise their Mii characters using items sold at the shop, including clubs, golf balls and clothing. Different combinations of gear can affect a player’s performance. Mario Golf: World Tour is scheduled to launch May 2 in stores and in the Nintendo eShop on Nintendo 3DS. Kirby: Triple Deluxe: Kirby has always had the power to inhale his enemies and take on their abilities. Each copy ability can let him do a variety of actions and moves, depending on which buttons are pressed. The game includes a huge number of collectibles for players to find, from hidden 8-bit keychains to Sun Stones. The game takes advantage of the StreetPass feature to deliver better items to players. Kirby: Triple Deluxe is scheduled to launch May 2 in stores and in the Nintendo eShop on Nintendo 3DS. Professor Layton and the Azran Legacy: The game includes the series’ famous mind-bending puzzles as well as collectible items and scavenger hunts that can be shared via StreetPass. The game launches February 28 in stores and in the Nintendo eShop on Nintendo 3DS. Monster Hunter 4 Ultimate: Hunt alongside friends online in the most dynamic Monster Hunter game ever. Capcom’s action RPG is coming to North America in early 2015 with more content and options than ever before. 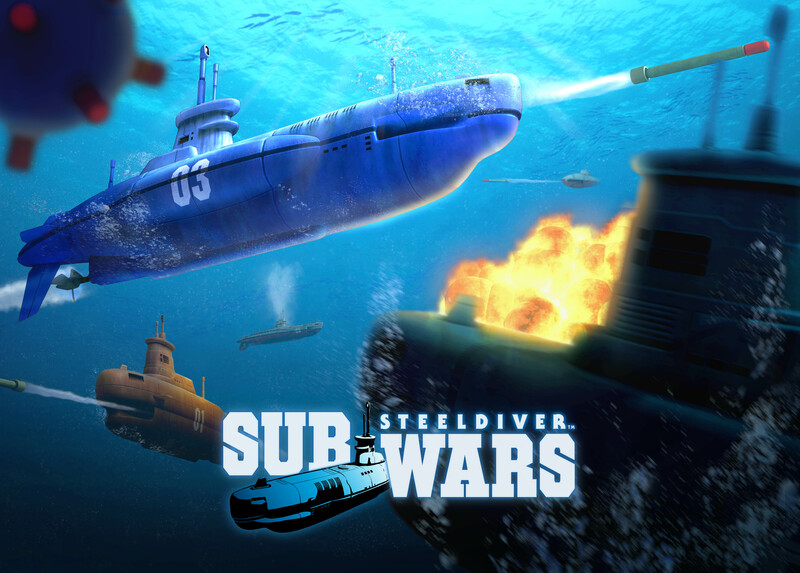 Steel Diver: Sub Wars: AVAILABLE NOW! This strategic first-person shooter is the successor to Steel Diver. It features more tactical action game play than typical shooters, as players are asked to navigate heavy-duty submarines while staying one step ahead of their enemies. People can compete in local four-on-four team sub battles and go online to battle submariners from around the world (as long as each person downloads the game for him- or herself). A free version that features two basic submarines, the beginning of the single-player mission mode and multiplayer features is now available for download. An upgrade to the full Premium version of the game is also available for purchase within the in-game menu for $9.99. INAZUMA ELEVEN: AVAILABLE NOW! In this soccer-themed RPG, players help their team go from underdogs to champions by training, learning new skills and recruiting the best players around. High-tension soccer battles require players to marshal all their teammates’ special moves, from flaming tornado kicks to mind-bending acrobatics. The INAZUMA ELEVEN franchise has passionate fans in Japan and Europe, and it makes its North American debut today. The game is now available for download for $19.99. Pokémon Battle Trozei: This fast-paced Pokémon puzzle game has players matching Pokémon to clear them while battling and collecting other Pokémon. The game includes every single known Pokémon – more than 700 of them – from Pokémon Red and Pokémon Blue to Pokémon X and Pokémon Y. Caught Pokémon can be used by players during battles to help them and will even grow in strength and inflict greater damage the more they are used. The game also features four-player co-op play, and is scheduled to be available March 20 for $7.99. Rusty’s Real Deal Baseball: Ex-pro baseball player and dog Rusty Slugger owns a sports shack. He’s broke with 10 puppies to feed, so he offers a variety of baseball mini-games for sale, themed around the simple pleasures of baseball. Players can bat, pitch, catch and even umpire. The initial software containing a part of the first mini-game is free, but players can purchase additional mini-games in a unique way: by haggling to lower the real-world price for each downloadable game. Additional games start at $4 apiece, but giving Rusty items or listening to his problems might improve his mood and motivate him to offer steep discounts. The game is scheduled to launch in April. WEAPON SHOP de OMASSE: This is the fourth and final game in what is known in Japan as the GUILD01 series, which has delivered games like LIBERATION MAIDEN and CRIMSON SHROUD to the Nintendo eShop. In comedian Yoshiyuki Hirai’s tribute to classic role-playing games, players are tasked with managing a weapon shop inside an RPG. Players tap the touch screen in time with music to forge their weapons. Optimal timing and forge temperatures lead to better weapons for heroes to take on quests. The stronger the weapons, the more successful the heroes. The game is scheduled to be available February 20 for $7.99. This entry was posted on Thursday, February 13th, 2014 at 5:22 pm and is filed under Action Adventure, Driving, Everyone, Everyone 10+, Fighting, National News, Platform, RPG - MMORPG, Sports, Teen, Upcoming Releases. You can follow any responses to this entry through the RSS 2.0 feed. You can leave a response, or trackback from your own site.